This blog represents a departure from its usual hunting ground. It addresses a subject that I have been itching to speak about via this medium for some time. My reluctance to do so, until now, was based on my awareness that my understanding of the issue was based primarily on book-learning, newspaper/magazine articles and lectures, albeit over many, many years. I speak of the Palestine/Israel situation. What releases me now is that I was fortunate to join an Extended Study Tour of Palestine/Israel (1) that gave me the opportunity to see for myself the situation on the ground, and to meet organisations and individuals affected by, and assiduously seeking to counter, the gross injustices perpetrated by the Israeli state. This by no means makes me an expert, and no such claim is registered here. But I have given myself permission to write about it in what is, after all, my blog. Reader, you may wish to read on, or quietly depart, either before what follows, or after. 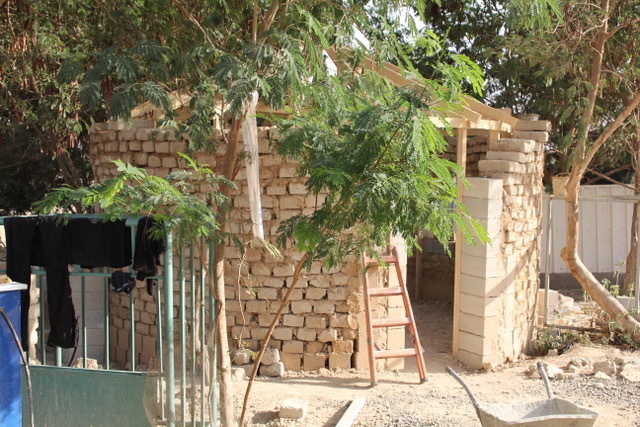 It’s a model of sustainability and the philosophy of ‘using what’s to hand’: once Israeli soldiers have knocked down the school room, the sophistication of the design, coupled to the nature of the building material – locally made mud bricks – ensure that it can be resurrected within hours by local Palestinians. Which is just as well, for the Israeli army is quite likely to turn up again to repeat what I imagine they call an exercise. Or they turn their attention to another village school there to demonstrate, once again, their capacity for wanton destruction. Not to mention at the same time traumatising children and humiliating parents and teachers alike. ‘Education in Israel is a precious legacy. Following the tradition of past generations, education continues to be a fundamental value and is recognized as the key to the future. The educational system aims to prepare children to become responsible members of a democratic, pluralistic society in which people from different ethnic, religious, cultural and political backgrounds coexist…’. This is happening now – and with international pressure may be halted, at least for a while. Then there are always homes to be demolished, most often with about fifteen minutes notice – time to collect a few possessions. And here the destructive tools of the trade generally include a posse of soldiers and a bulldozer. 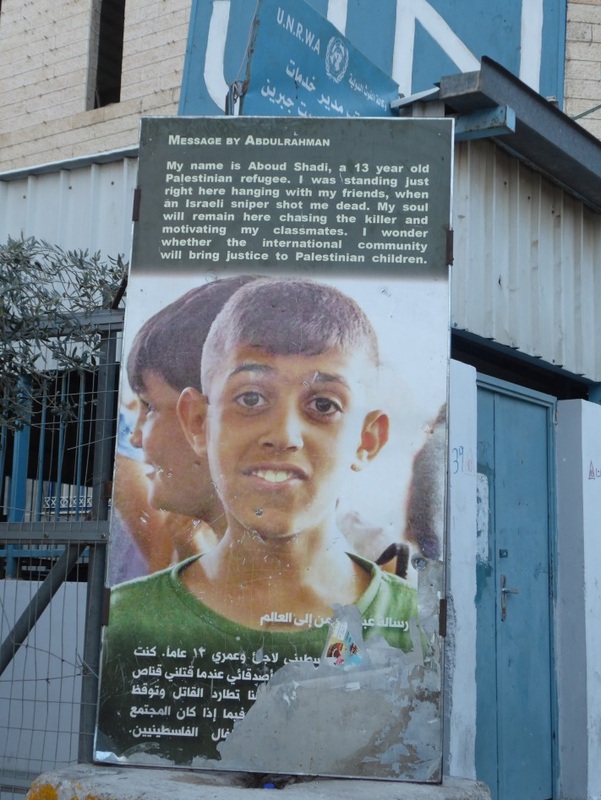 The Israel state, in all its might, also finds that children represent a profound threat. You read it right: ‘children’. This requires soldiers to break into a home in the middle of the night, either by stealth, or by blowing off the front door, to arrest the child. Here your early morning call is a rifle or machine gun pointing at you. Above: After it was alleged an Israeli child was hit by a rock by a Palestinian whilst swimming in Abraham’s Well, Israeli Forces conducted house to house raids in the Carantina neighbourhood, adjacent to Tel Rumeida. 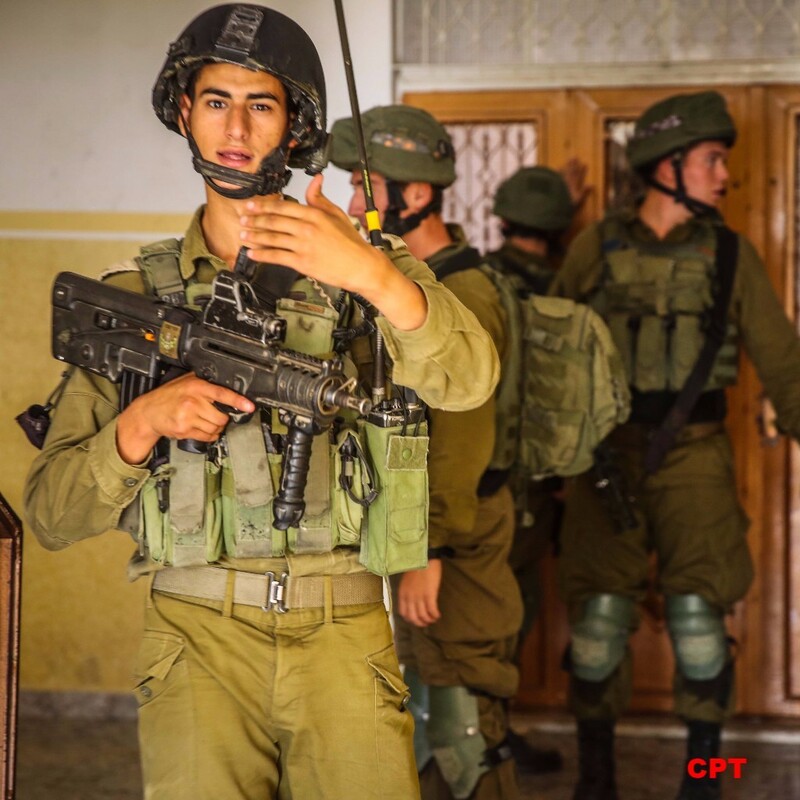 Over 60 soldiers stormed Palestinian homes with families present, breaking down doors and in some cases remaining in the houses for over an hour. 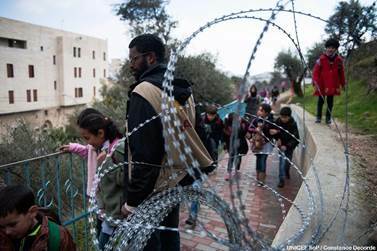 Frightened children looked on unaware as to why the Israeli soldiers were present. This, obviously, is all by design: The Israeli state has developed a fine line in traumatising children, and humiliating parents, teachers and Palestinian adults generally. Take what can only be called the perverse and surreal situation in Hebron. It’s relatively easy to describe what has occurred there, but difficult to convey its impact: the consequences of an existential assault on the material and spiritual integrity and well-being of an entire town’s population directed towards, ultimately, the shrinking of the local Palestinian population. To describe: since 1968 six Jewish settlements have been established within – note ‘within’ – and around Hebron. ‘Jewish’ here needs to be understood to refer to, in this particular case, a sect-like ‘community’ that includes religious thugs with whom one would not wish to break bread. Many appear to hail from America and Europe. Above: Neighbourhood watch or watch out in your neighbourhood? 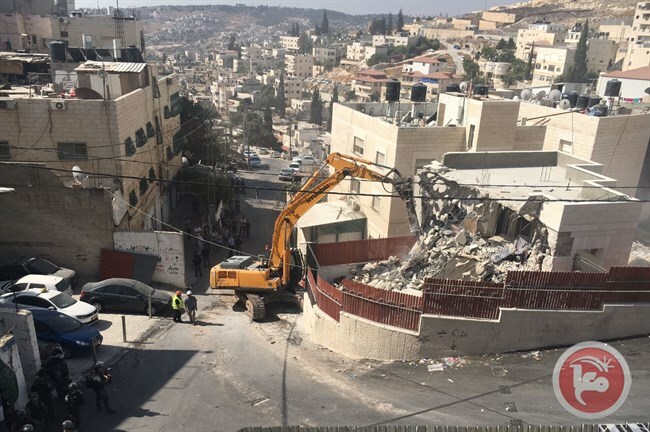 ‘As a result of the 6 settlements, vast restrictions and closures have been placed on the Palestinians living in the Old City and those who come to the area. It is estimated that between 600-800 Israeli settlers are living in the Old City of Hebron, plus an additional 7,000 living in the settlement of Kiryat Arba directly beside the Old City. Between 1500-2000 Israeli soldiers are present in Hebron’s Old City due to the settler presence. ‘not normal Israeli people. Not people Israelis would like to have as neighbours’. There is some unintended irony here, albeit bitter. For the remark implies the speaker’s belief in the inherent possibility of a shared sense of humanity residing within the oppressor; the Israeli understood as a person, a person who understands what it is to be a neighbour. 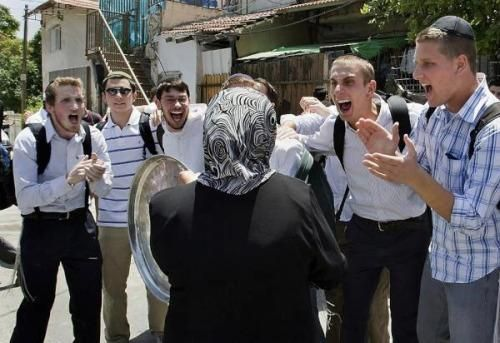 And the irony: nothing in the Hebronite experience of the Jewish state gives cause for such a generous assessment: the settlers behaviour is gross in the extreme – and they are protected by the Israeli army, the ‘most moral army in the world’. Apparently. 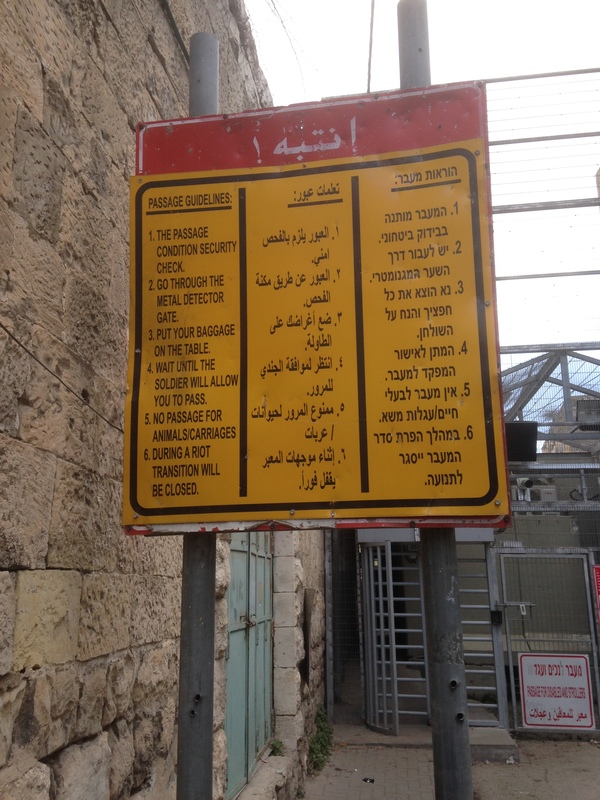 Above: The violation of a body search is commonplace under occupation here in Hebron. After settlers had attacked Palestinians with stones, this Palestinian teenager was stopped and searched arbitrarily by Israeli soldiers. As is frequent, he was forced to pull up his top, spin around and wait by a wall until he was allowed to walk past. Difficult, too, to project oneself into the lived experience of parents unable to protect their children from the Israeli military. Or to project oneself into that sense of shame and humiliation that parents must feel, and their children are forced to observe and absorb, when young soldiers – it is a conscript army – line-up, search, bully, issue peremptory instruction to parents and grandparents in their own home. And then demolish it. These particular forms of state-sanctioned violence – of word and deed – are aspects of the wider oppression that the Occupation fosters and maintains. Through its policies and consequential actions, the Israeli state has over-turned, rendered void and desecrates, day by day, the foundational ethical values to which it lays claim. Its violations of fundamental ethical norms are perhaps most egregiously lived out through the practice of humiliating parents in the sight of their children – destroying a child’s trust in the protective power of its parents, thereby nullifying the very idea and possibility of trust itself. Within the Jewish tradition the story is told of Rabbi Hillel, born around 110 BC, who was famously asked to describe the kernel of Jewish teaching whilst standing on one foot. To which he replied: ‘What is hateful to you, do not do to your fellow man. This is the whole Law, the rest is commentary’. 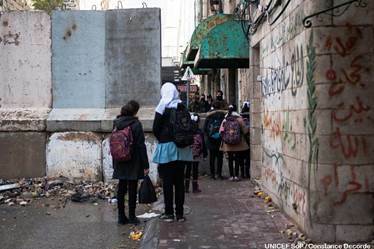 ‘The years of frustration and violations committed by the Israeli military lead some children to throw stones at the fortified checkpoints that divide their homes from their schools, as a form of resistance. In response, collective punishment is the common practice used by the Israeli military, shooting tear gas and stun grenades toward the children and into the nearby schools. On this particular morning, two tear gas canisters were shot directly into the yard of a primary school. At a talk by Lubna Shomali, of the Badil Resource Centre for Palestinian Residency and Refugee Rights, the concept of ‘force’ was briefly discussed. 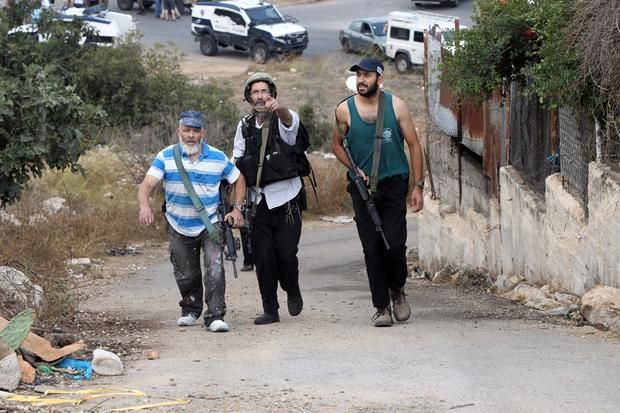 There is ‘conventional’ force, the application of direct and physical violence, be that by settlers, police or soldiers. More corrosive and insidious, arguably, is a form of indirect violence: the creation of a ‘coercive environment’ from which there is no let or escape – akin to living within the suffocating embrace of a toxic cloud. It’s called ‘Occupation’. Nevertheless, attempts at ameliorations, along with pushbacks, are evident wherever one looks. They arise as a consequence of Palestinian, and Palestinian-Israeli civil society resisting and pushing against the armed and active Israeli bulldozer state. There is, however, currently no sign of the possibility of a comprehensive, just, rights-based resolution to the conflict, nor is one likely to be advanced in the absence of international pressure. Here the western ‘democracies’ are culpable, directly and indirectly, of giving comfort, along with material and political support, to what is more and more generally recognised as an apartheid regime. It is that. This should be intolerable to us, as it was when South African was an apartheid state. Clearly, the self-proclaimed Jewish state violates the good Rabbi Hillel’s dictum, and shames it. This posting has been somewhat bleak, as I suspect some at least of future postings on this subject will turn out to be. I think this sense of bleakness accurately conveys how the vast majority of the people we met feel and think about the immediate future. But that is not, nor can it be allowed to be, where matters are left to rest. 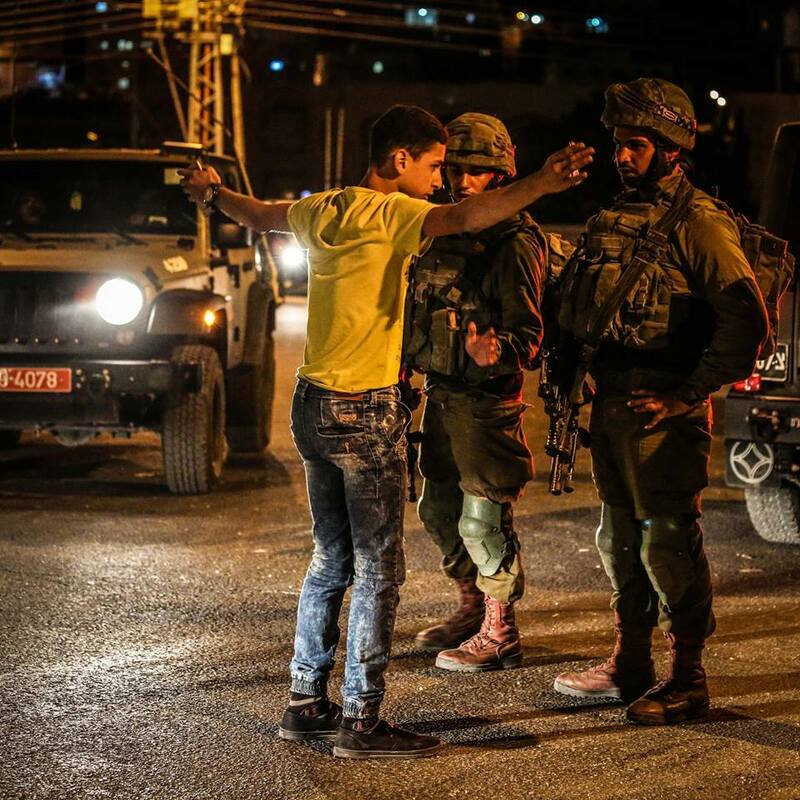 Palestinians in the Occupied Territory, Israeli Palestinians, and many, but not enough, Israeli Jews are certainly not allowing matters to remain as they are. There is no question that Palestinians and the positive forces within Israeli society are active, resilient, courageous. They need, absolutely need, international support – voices must be raised in protest at the daily violations of human decency that Israel by its own free choice perpetrates on Palestinians. For their sake, most certainly, but also for Israelis, international opposition to Israeli policy must be mobilised. Perhaps you will be one of those voices? 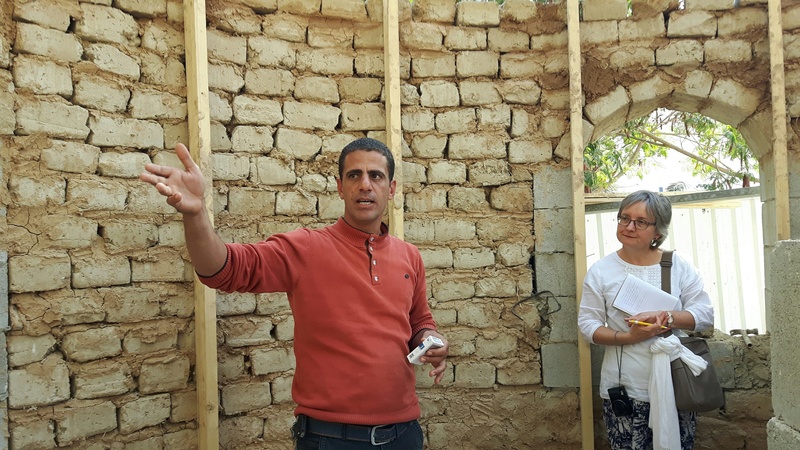 In truth, I was unsure whether it was fitting to end with a quote from the Israeli organisation when we were privileged to meet and engage with so many courageous, insightful Palestinian individuals and organisations. They are resisting as best they can the reality of oppression daily encountered. I justify the decision on the basis that it is the oppressor which must reform itself, must confront and cure its own self-induced malady. ICAHD is but one grouping of Israeli and Palestine-Israeli organisations seeking to administer remedy to the Israeli state’s sickness within. (2) ICAHD, is co-founded by Jeff Halper, an Israeli Jew who has fought with body and mind against the colonising and discriminatory policies of the Israeli state. (3) There is also much to be said about the position of Palestinians within Israel’s pre-1967 borders. But that, perhaps, for another time. 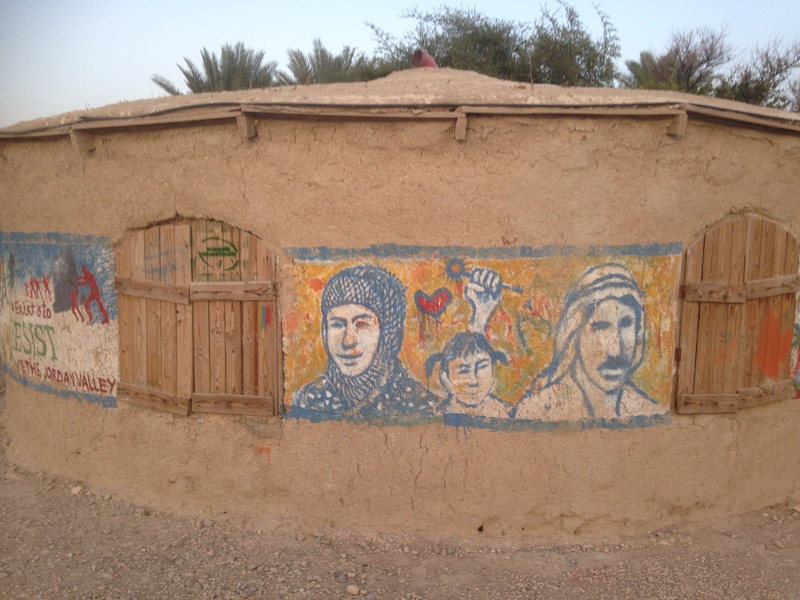 This entry was posted in Palestine/Israel and tagged Israel, Oppression, Palestine, Pushback, Resilience. Bookmark the permalink.